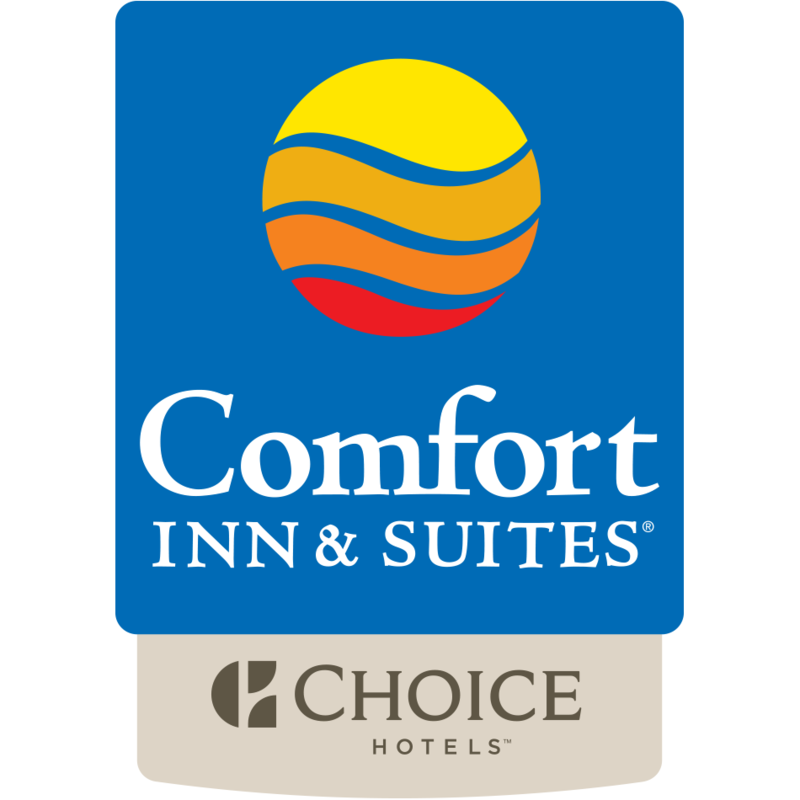 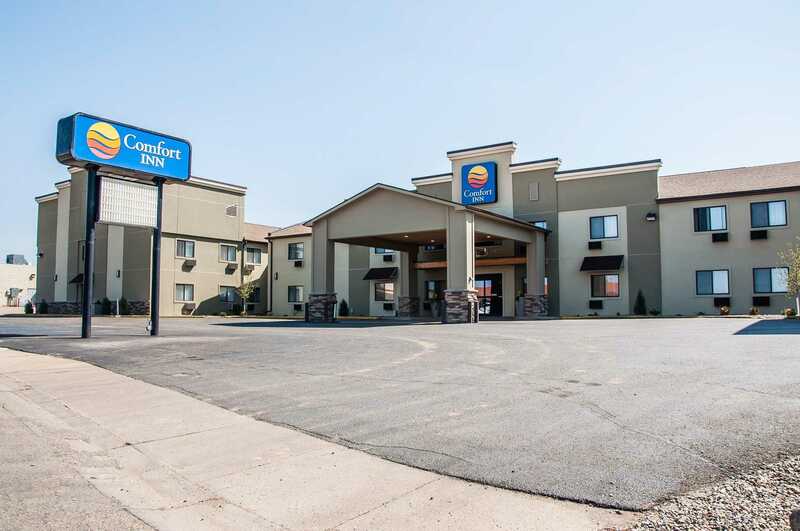 Comfort Inn, a pet-friendly Dickinson ND hotel, offers free airport transportation, breakfast and free Internet in all rooms! 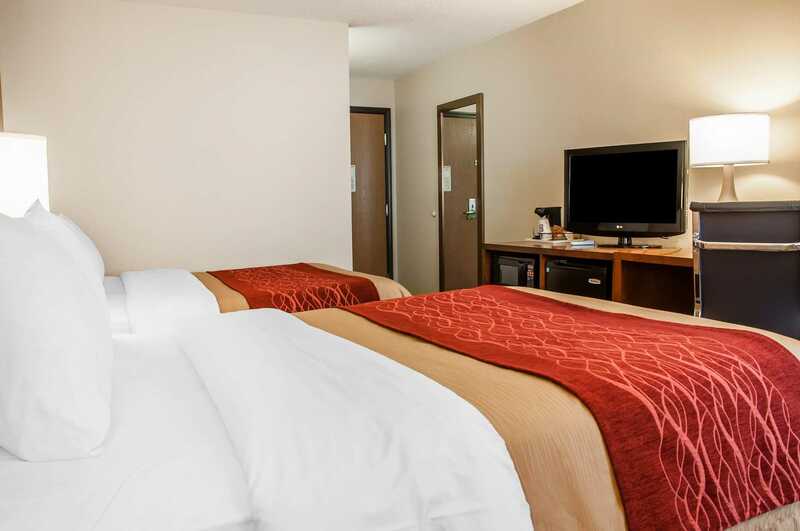 The hotel is near Dickinson State University and Prairie Hills Mall. 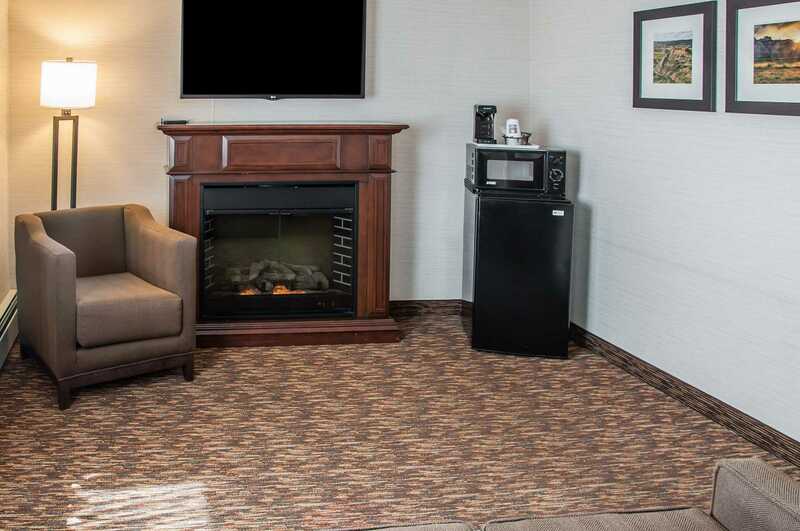 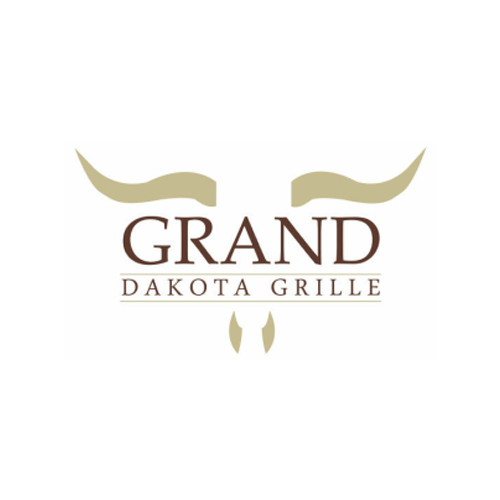 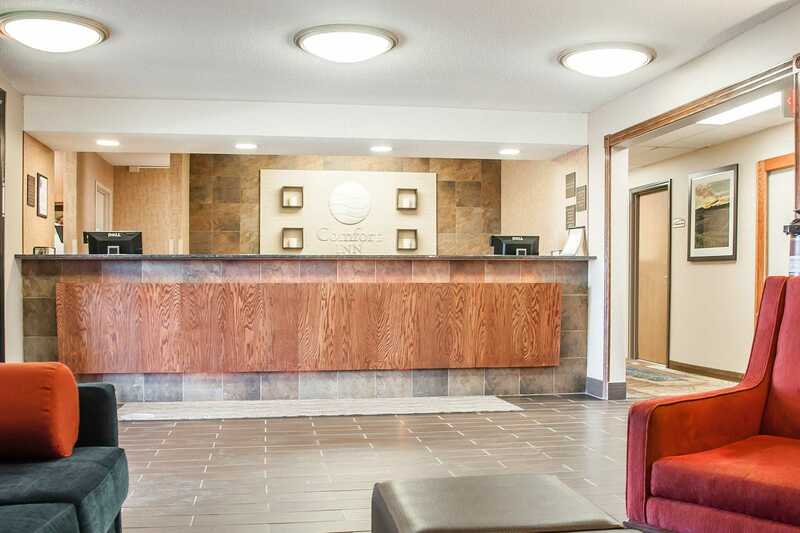 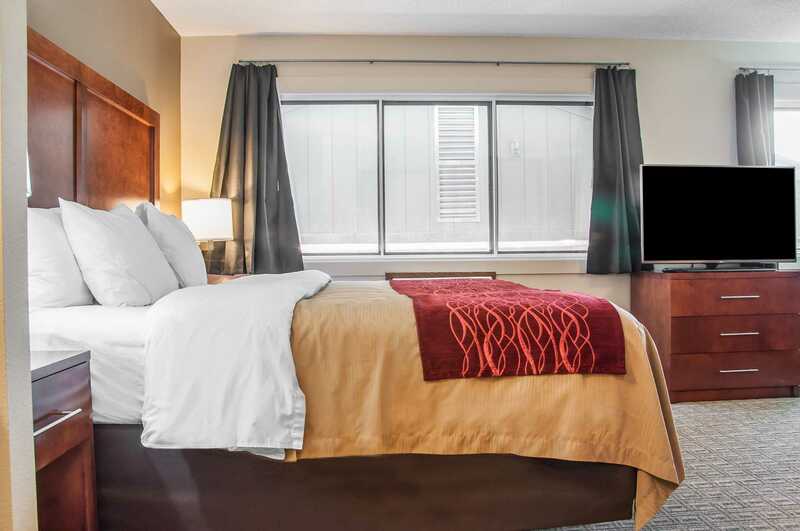 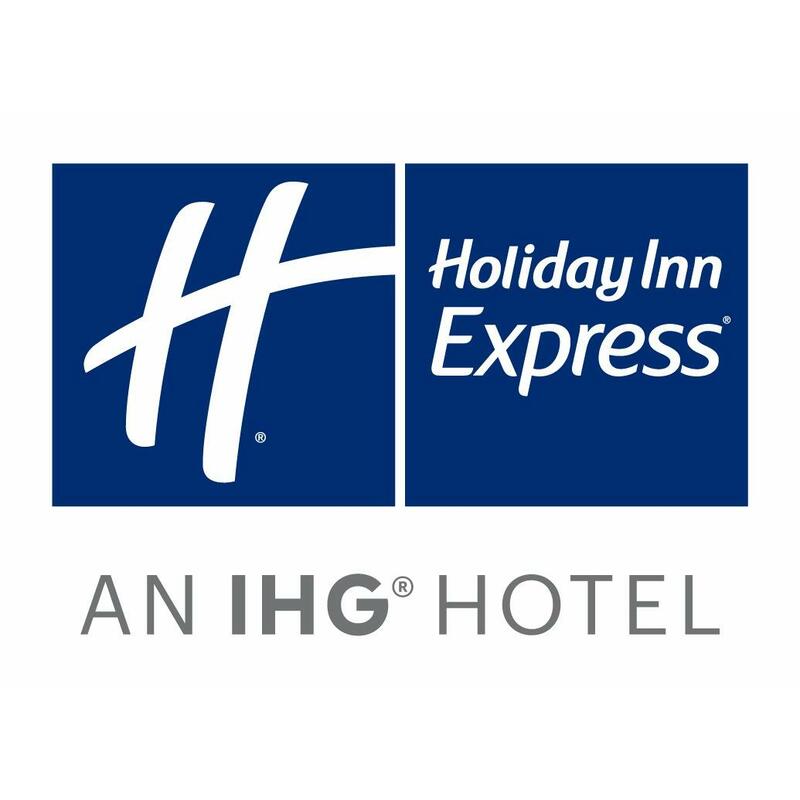 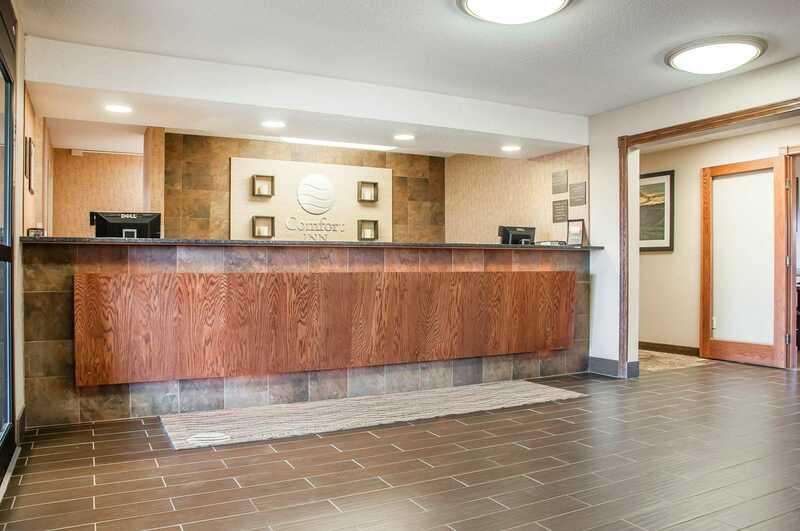 This Dickinson ND hotel is also conveniently located to a number of area attractions, including West River Community Center, Dakota Dinosaur Museum, Heart River Golf Course, Theodore Roosevelt National Park, Bully Pulpit Golf Course, Dickinson-Theodore Roosevelt Regional Airport, and Prairie Outpost Village. 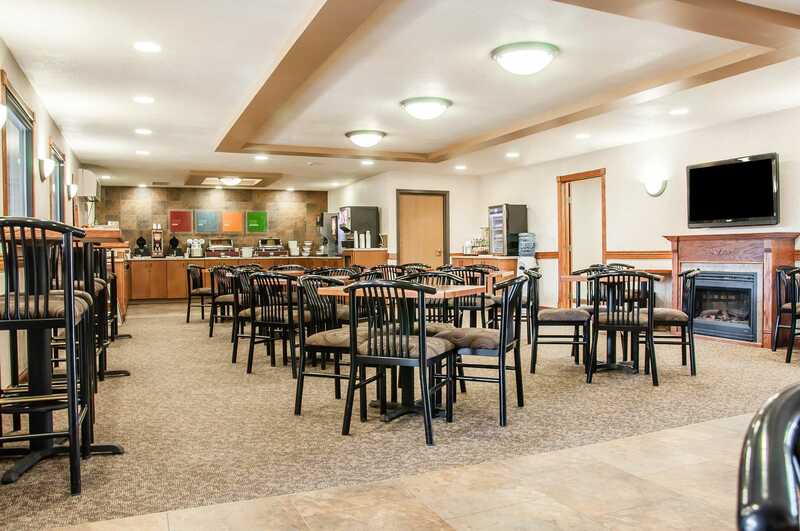 Enjoy a Manager's Reception on Tuesday and Wednesday evenings as well as hors d'oeuvres Monday, Tuesday, and Wednesday. 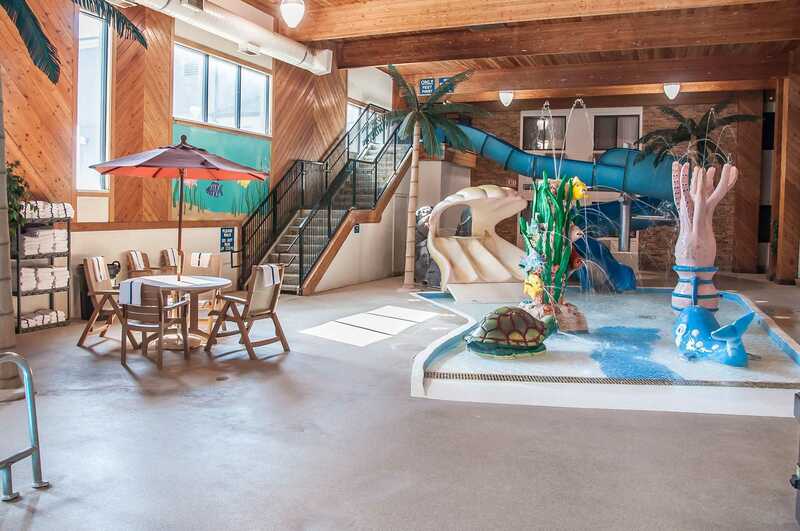 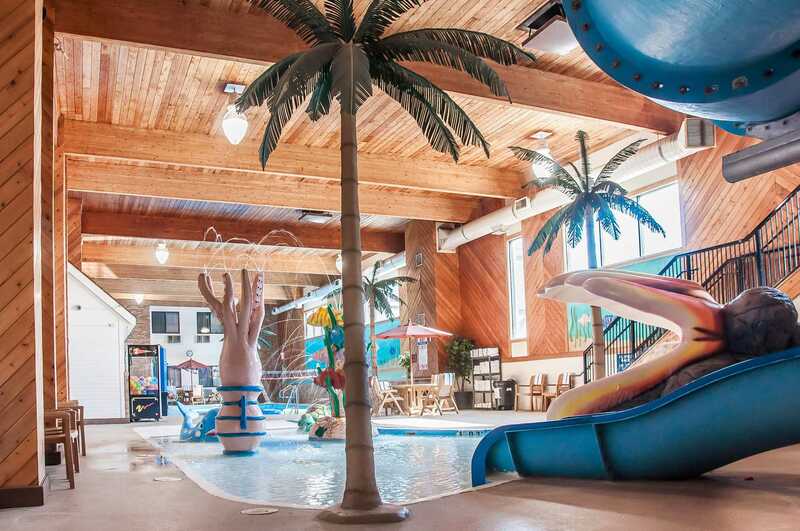 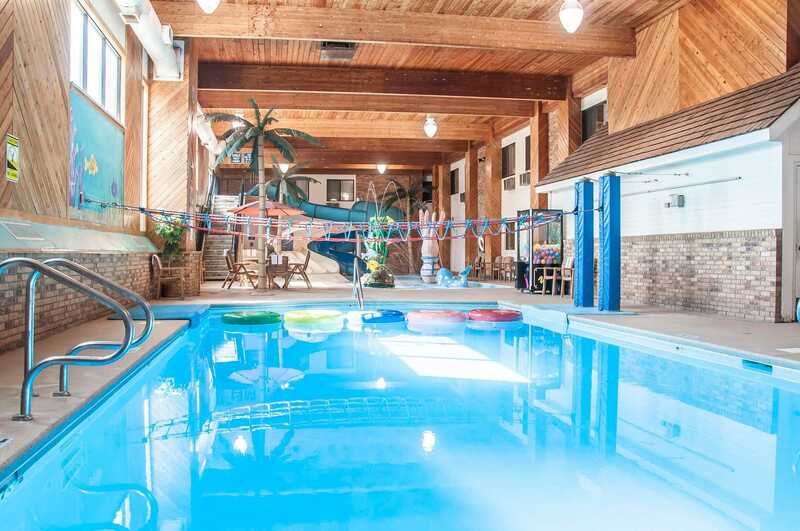 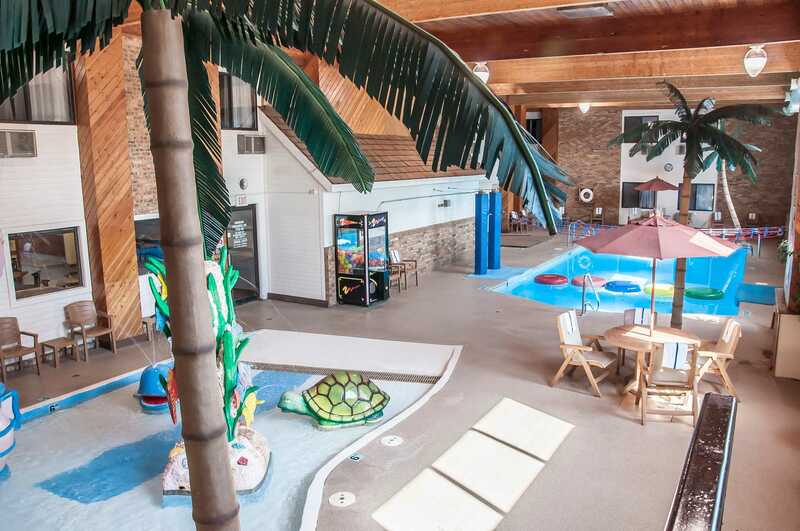 Take advantage of the waterpark on property with a two-story spiral water slide, whirlpool, indoor pool, and children's pool. 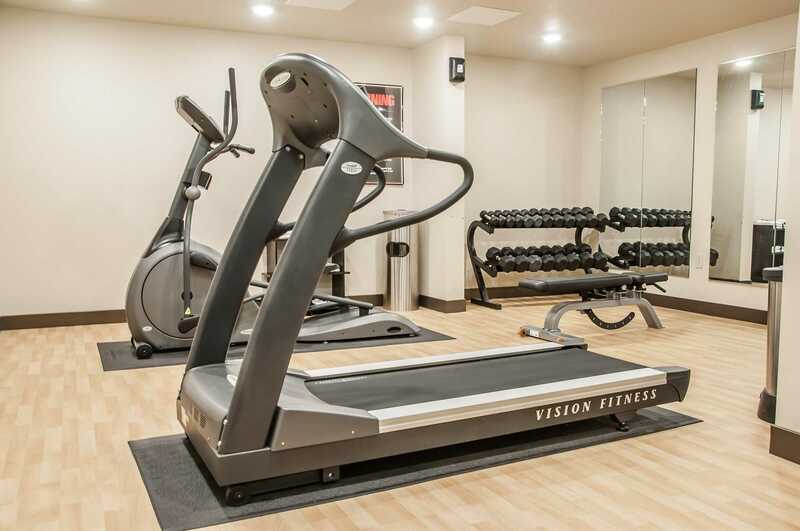 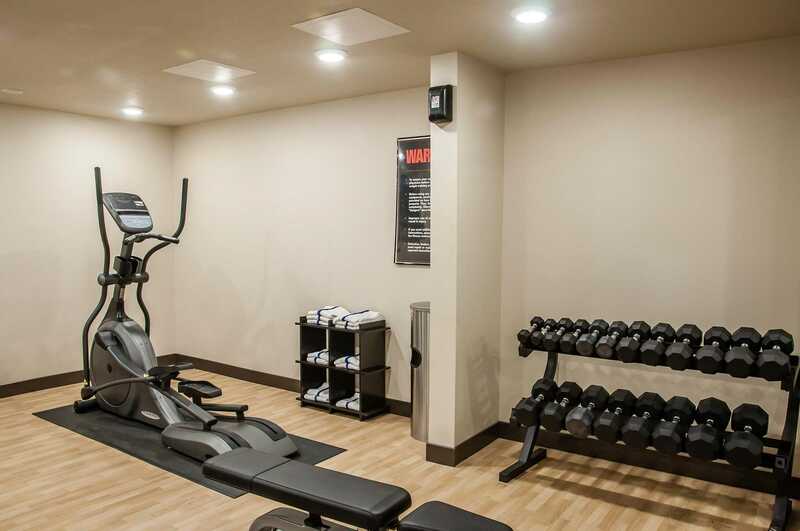 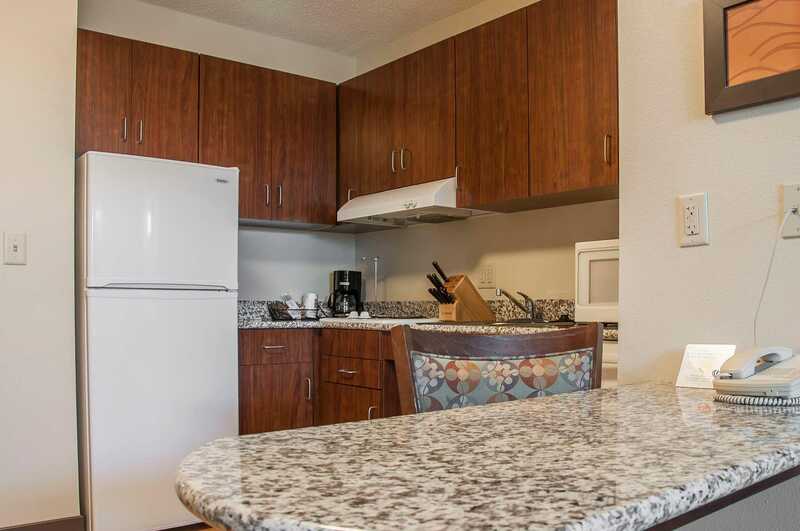 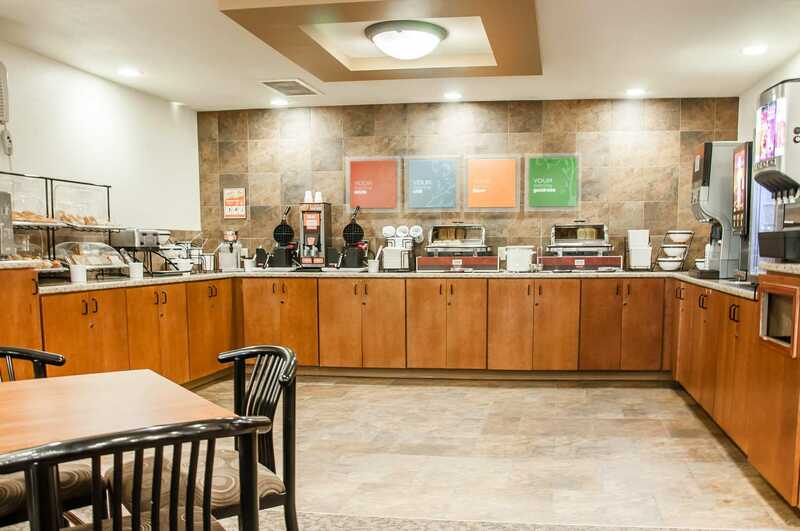 Guest laundry facilities available onsite, as well as cold weather hook-ups, a newsstand, and a fitness center. 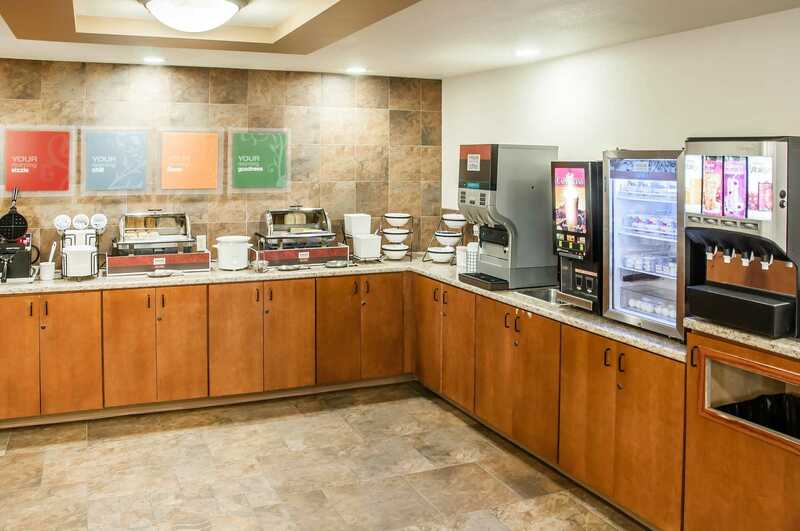 The complimentary hot and delicious breakfast features eggs, meat, yogurt, fresh fruit, and waffles. 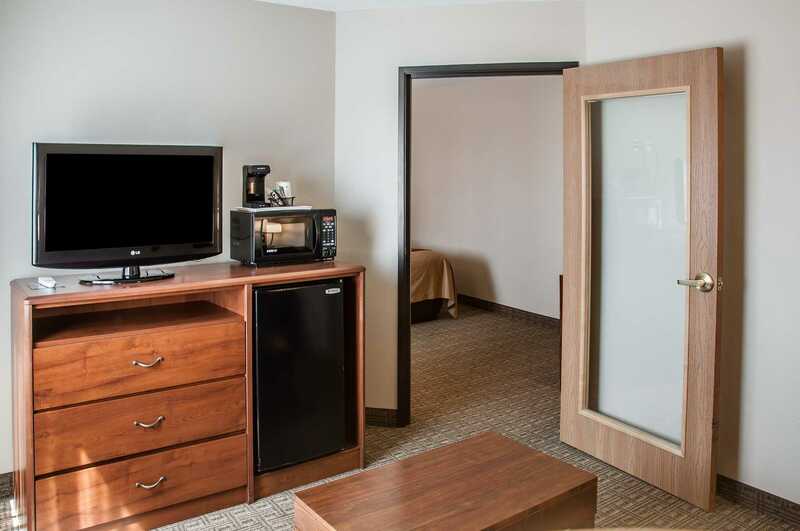 Each guest room includes a hairdryer, iron with board, coffeemaker, refrigerator, and microwave. 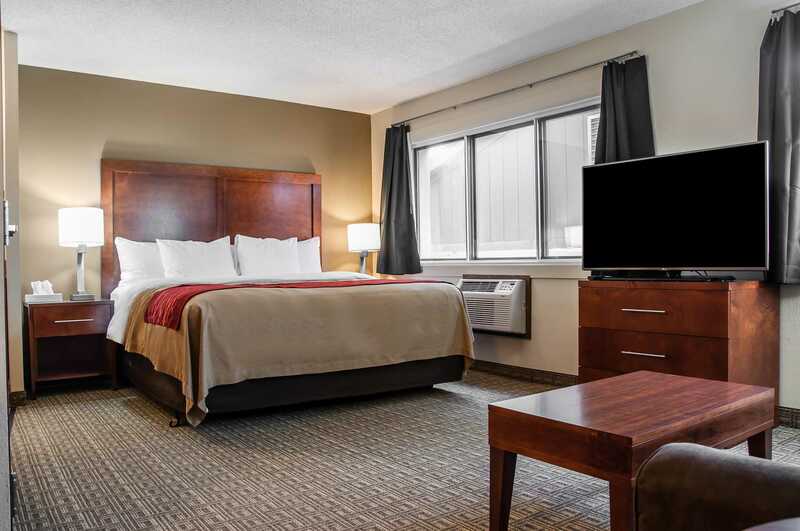 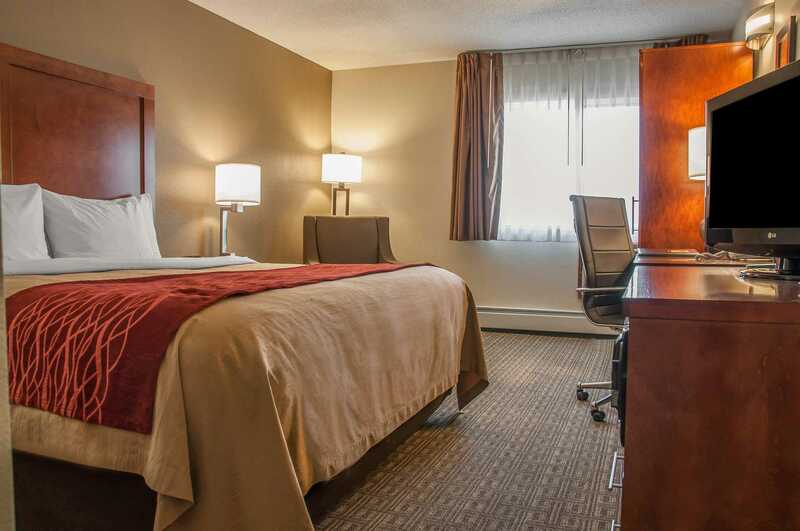 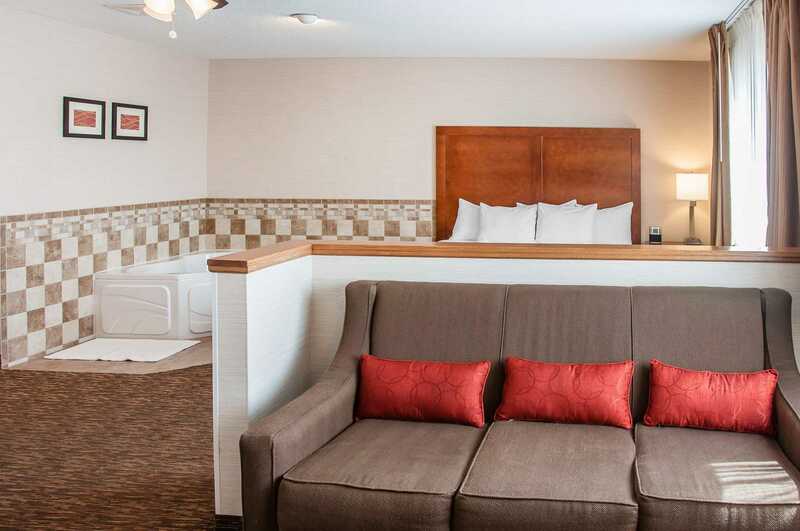 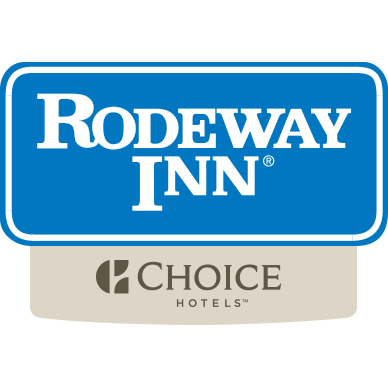 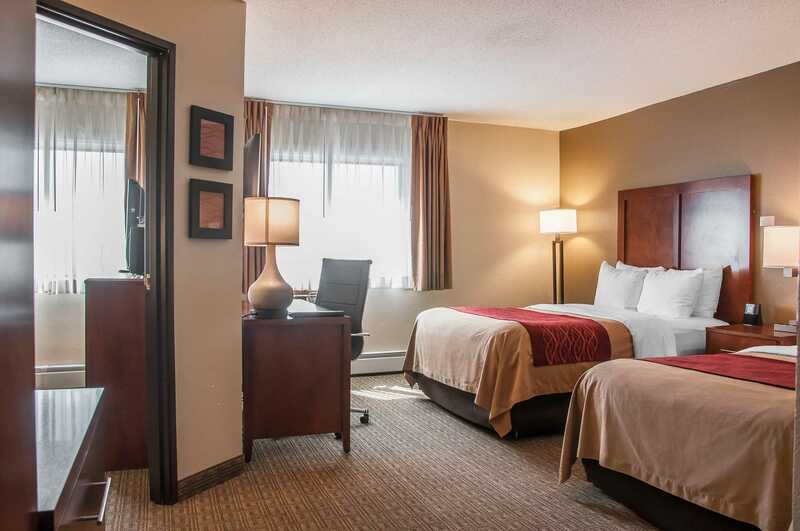 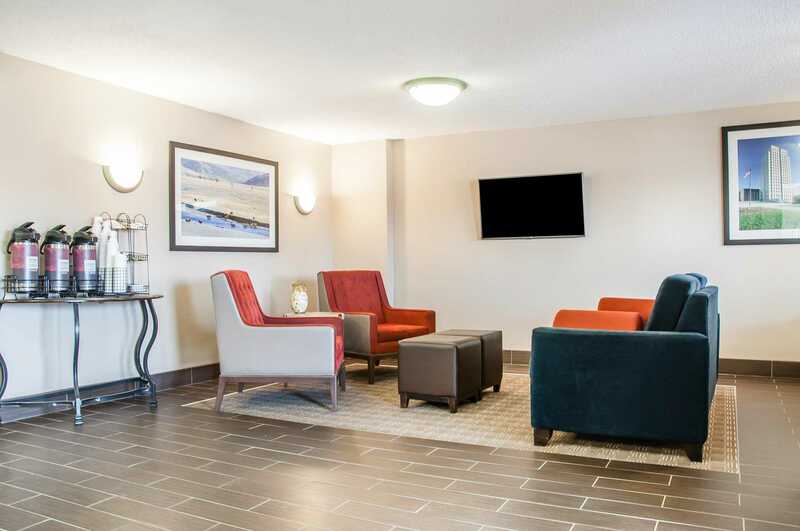 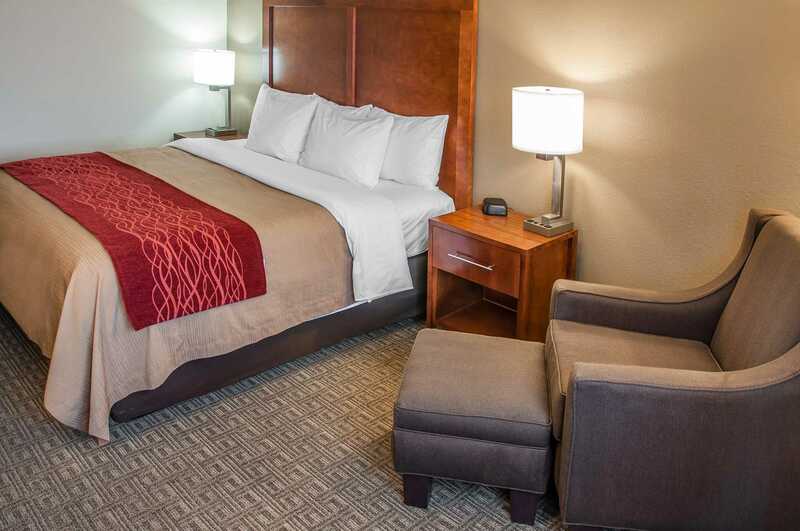 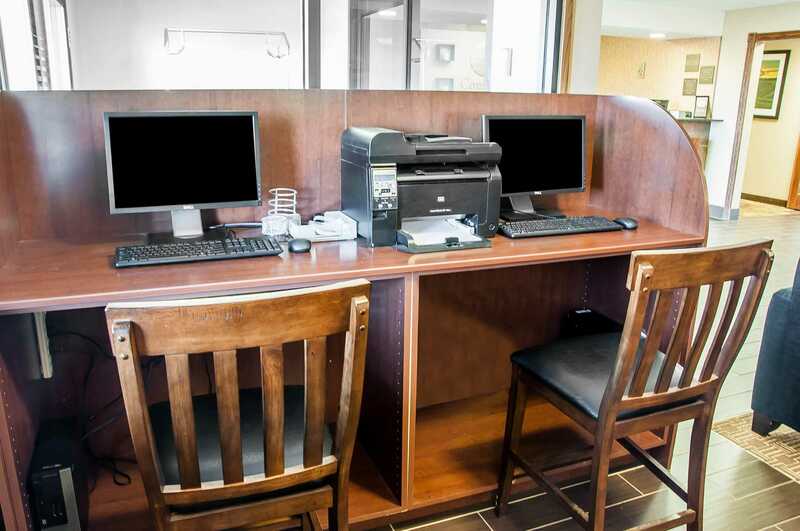 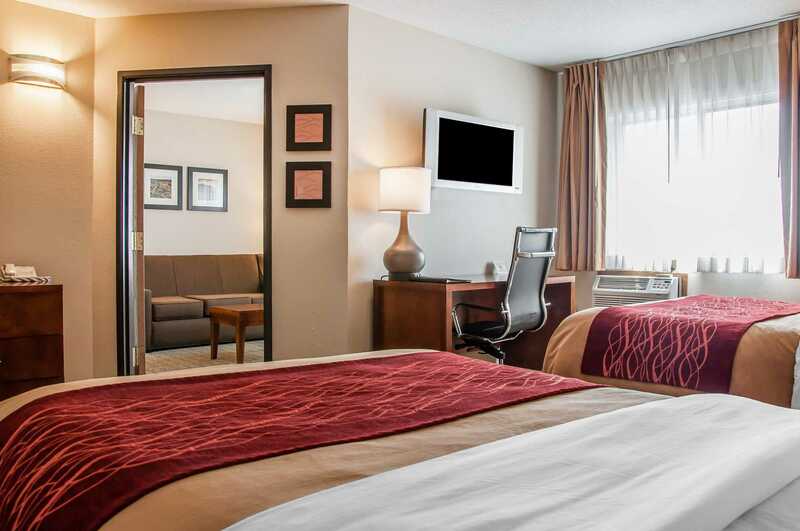 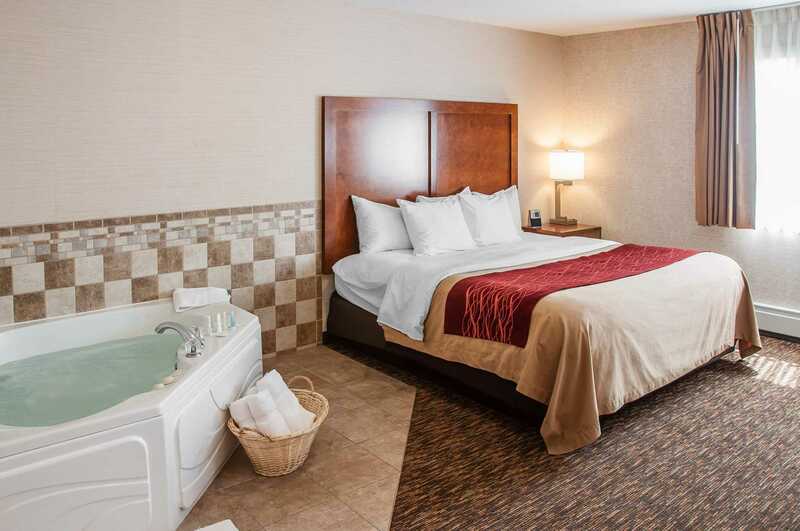 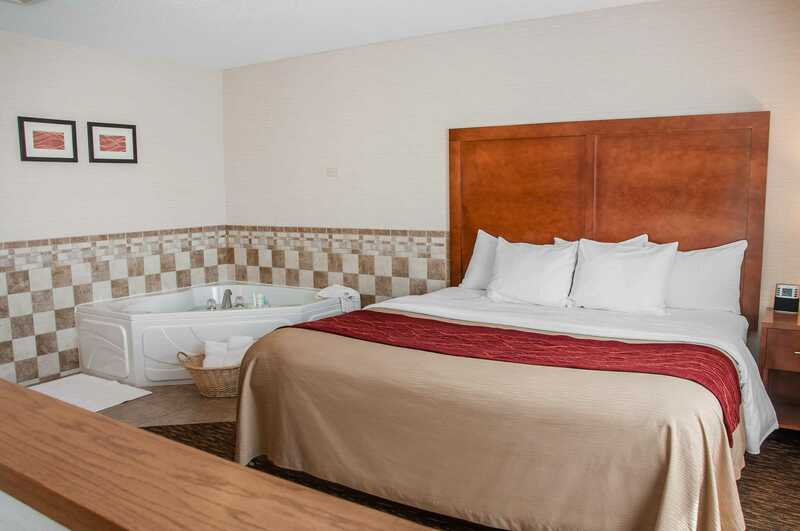 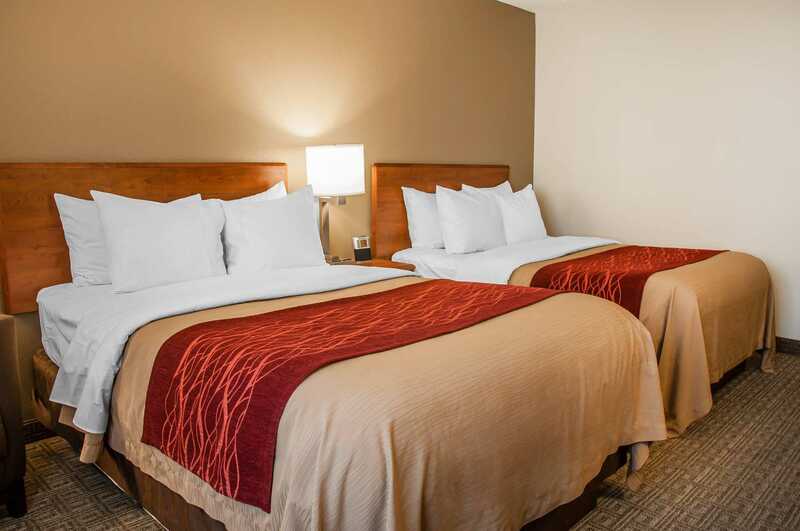 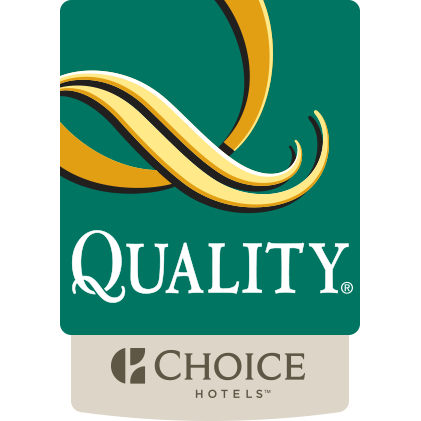 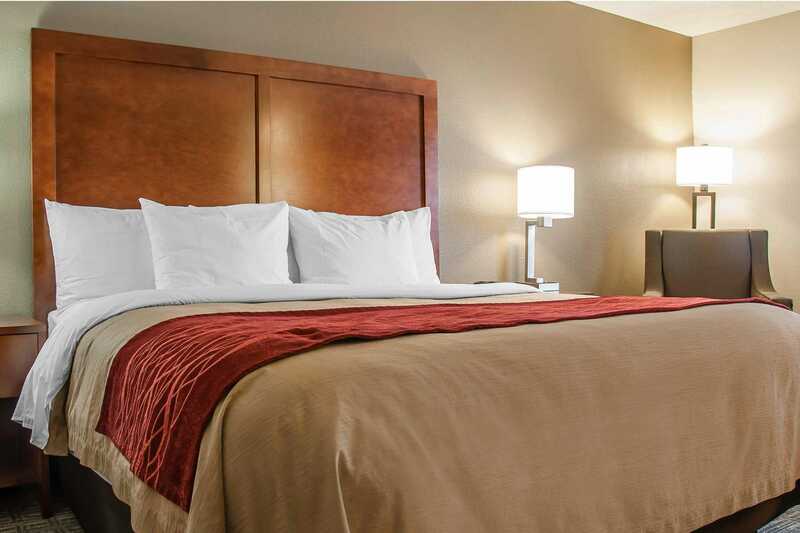 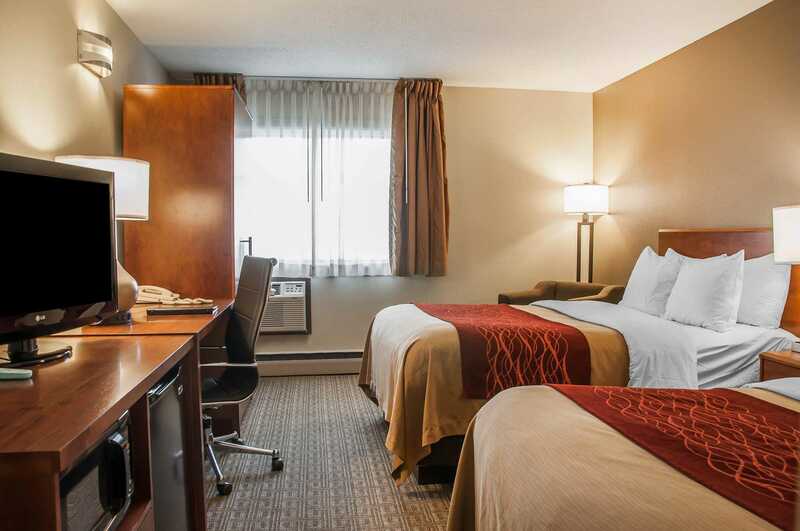 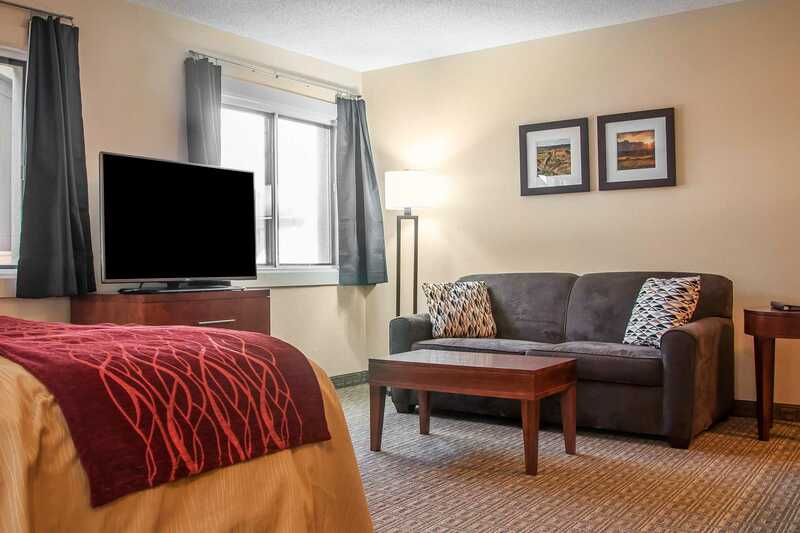 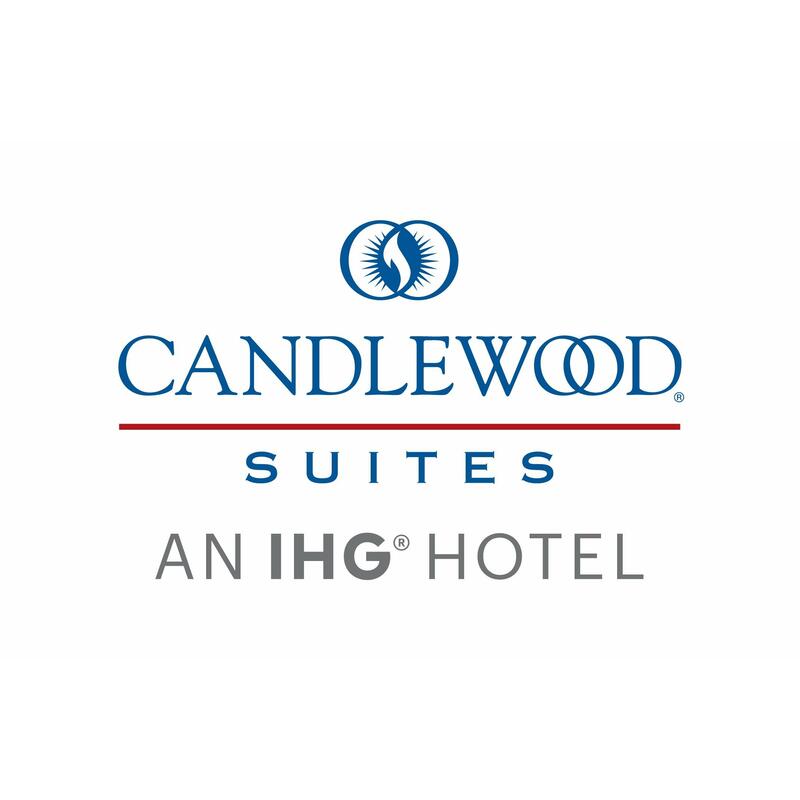 Executive business suites, a whirlpool suite, family suites, and extended stay suites are also available. 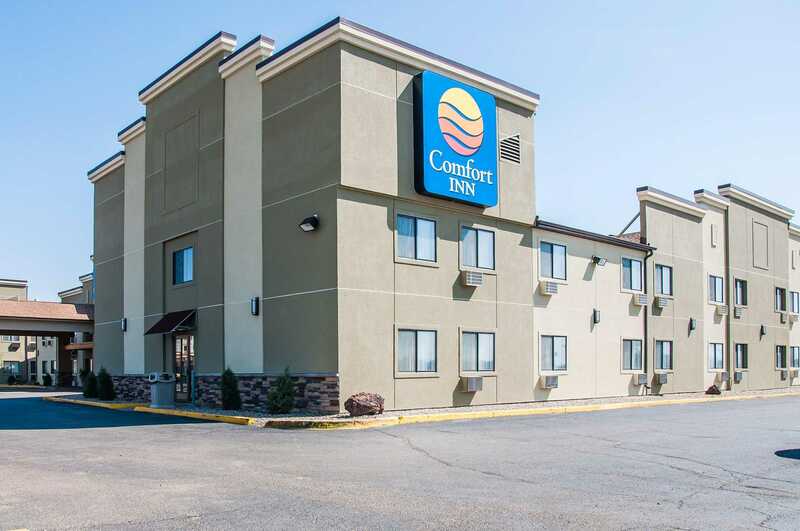 Book now at the Comfort Inn in Dickinson, ND!